Building Inspectors of WNY, Inc.
Our goal is to connect people with the best local experts. We scored home inspectors on more than 25 variables across five categories, and analysed the results to give you a hand-picked list of the best home inspectors in Buffalo, NY. A Plus Home Inspection is a certified home inspection company founded by Adam J. Slimack that serves the Buffalo area and other Western New York communities. The company helps sellers, buyers, and homeowners get the best out of their properties through thorough and professional services. They inspect chimneys, exterior drainages, plumbing and electrical systems, ventilation, and sidings, among others. Clients can call A Plus Home Inspection to schedule an unbiased, thorough, and professional inspection. Mark J. Bonvissuto of A-Mark Inspections Inc. is a trusted home inspector in Buffalo, New York. He has served numerous homeowners, brokers, and buyers since 2005. He is an associate member American Society of Home Inspectors and is committed to providing only the best services for his clients. He is happy to schedule inspections throughout the week for his clients' convenience. Since its foundation in 2000, Accu-view Property Inspections is trusted by homeowners in Buffalo, Erie, Niagara, and nearby counties. Their team has two decades of experience in the business, and they are passionately dedicated to helping their clients make informed decisions about real estate. They inspect a building’s interior, exterior, and general structures. They are certified by the ASHI and by the National Radon Safety Board. AG Home Inspections by Tony Guinta offers high-quality and professional home inspection services. Tony will make sure his clients' homes are safe to live in. Clients are very happy with his quick turnaround and detailed reports. 10% discounts are offered to first-time homebuyers, senior citizens, and military members. All House Home Inspection has been in the industry for a decade. The company is a member of the National Association of Certified Home Inspectors and provides high-quality home inspection services in Buffalo, Aurora, Lancaster, Seneca, and nearby areas. They also offer discounts to military members, police, firefighters, and teachers. Building Inspectors of WNY Inc. has been providing trusted home inspection services in Buffalo, New York and surrounding areas for over three decades. The company's founder, Michael Poli, is a certified home inspector specializing in structural and drainage inspections. They also handle radon testing services. CGL Inspections, LLC is a licensed and certified home inspection company based in East Aurora, New York. It is their team's goal to provide homeowners with an unbiased review of their property. The company is locally-owned and offers professional services at affordable rates. Clients can call CGL Inspections or visit their website to schedule a consultation. Clear Mark Home Inspections has over 30 years of expertise in home renovation, repair, and inspections. The company is licensed by the state of New York, is a professionally certified home inspector, is a member of the International Association of Certified Home Inspectors and a member of the Best Inspectors Network. Aside from their high-quality and thorough home inspections, they also offer radon and health risk testing. Guardsman Home Inspection strives to provide their clients with accurate and thorough home inspection services. This veteran-owned business guarantees that they will protect their clients' biggest investments: their homes. Aside from home inspections, their professional team also handles radon testing, sewer checks, and mold testing. Customers can ask the team for a free estimate. For people looking to buy or sell a home, a home inspection is something that should be taken into consideration. Karl's Home Inspections offers high-quality services for homeowners, buyers, and sellers so that they can have peace of mind about their investments. They serve areas in Western New York including Orchard Park, Niagara Falls, Buffalo, Lewiston, and Lockport. Lach's Home Inspection is a licensed and professional company that serves Buffalo, New York residents and strives to handle jobs of all sizes, big or small. They handle home renovations, electrical work, and high-quality home inspections. Clients can call their team for a free estimate. Lakeshore Home Inspection was founded by Paul Kleindienst to serve all areas of Western New York state. Being in the construction business since 1983, he has built his knowledge on home structures for years. He handles interior and exterior, roofing, foundation structure, roofing, plumbing, and electrical inspections. His past clients review him well, pleased with how he expertly performs inspections and returns detailed, accurate reports. Mack Property Inspections, LLC offers high-quality home inspections and consultations to homeowners, sellers, and buyers in Buffalo, New York. With over two decades of experience, the team provides their clients with a detailed report complete with photos. They offer discounts for veterans, first responders, healthcare professionals, and teachers. McCutcheon's Inspection Services is home inspection service that is dedicated to helping clients protect their biggest investment: their homes. Their team is made up of professional home inspectors who adhere to the guidelines of the American Society Home Inspectors and New York State. They are committed to providing honest, accurate, and fast results that will bring awareness to the homeowner. Aside from doing overall home inspections, they also offer radon testing. Perfection Home Inspection is Buffalo, NY's trusted home inspector. 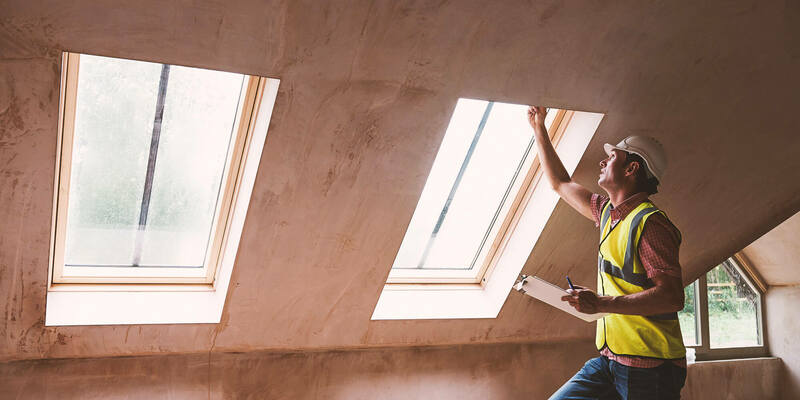 Their certified and professional team members help new home buyers and homeowners get the most out of their living spaces by providing them with high-quality inspections. Perfection Home Inspection's detailed and house-specific narrative reporting system comes with photo proofs. Point of View Home Inspection offers unbiased and professional home inspection services for Western New York and Buffalo homeowners. Their reputed company offers accurate and unbiased inspections so their clients can have great knowledge and be informed about their properties. They also offer radon testing. Safe & Sound Home Inspection Services of Western New York’s mission is to help their customers make wise, informed decisions about their home. As professional inspectors, their team is keen on searching for things that need improvement around the house. They take a look at roofing systems, vents, electrical panels, walls and foundations, heating systems, and more. After each inspection, their team crafts a comprehensive, detailed report about the overall condition of the house. Signature Property Inspection provides homeowners with peace of mind with their services. This nationally certified and licensed company offers affordable and friendly services to residents of Buffalo, Western New York, and nearby areas. They inspect furnaces, electrical connections, plumbing fixtures, structural foundations, and more. Signature Property Inspection also conducts multi-unit and commercial inspections as well as radon testing services.